With the functionality you need and without unneeded capabilities that increase the cost of a device, the SP2603 is ideal for most fleet and other tracking purposes. Focusing on reliability as a foremost design goal, you can count on dependable connectivity. The SP2603 is also available with an optional 750mAh back-up battery so that it can be configured for a particular application or use case. The fleet management device features FOTA (Firmware Update OTA), a 3-axis accelerometer for motion sensing, and has one input and one output (I/O). 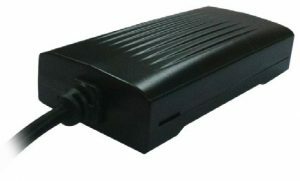 The SP2603 is a complete GPS tracking unit with two versions: 2G as well as 3G covering all 5 bands of 3G communication. It is designed for 12- or 24-volt mobile vehicles with a quick and easy installation procedure. Contact Skypatrol to learn more or to view a demo of our products. 1 digital output (Relay), open drain, 300mA drive current max.